Today I am baking bread…………. This is the simplest and most basic bread recipe that can be made into whatever one wants it to be. The dough is made in a food processor, and saying that will raise eyebrows of any true Artisan Bread Baker. But……….I have been very successful with this recipe, because it allows me to add anything to this dough to make it more interesting and has given courage to many of my timid students to actually serve a warm loaf of bread at dinner time. Another wonderful and creative step in this recipe is that one can add anything one wants to the dough to make it special. I often add various chopped nuts, raisins and cinnamon, or, one can add sausage and garlic, sometimes I add caramelized onions and walnuts, then again some herbs, like rosemary, thyme, basil and parsley for a very aromatic herbal bread. On other occasions I add various seeds, like sesame, poppy, flax or anything else you have in your pantry. It is also very nice to add various dried fruit, like chopped apricots, prunes, apples, pears, cranberries, blueberries or whatever you find in either grocery or specialty stores. One can make this dough into rolls, crescents or flat breads of any nationality….. tortillas, focaccia, naan or pogaca. One can also fry this dough to serve as a special attraction to a meal that will have your guests smile with pleasure. This recipe has given me great moments of creativity, therefore, I wanted to share it today with you………. Maja’s Simple Loaf of Bread……….. Mix the yeast with the water and sugar and let it rest for about 5 min. The yeast will bubble up and re-hydrate. Add the flour and salt – mix with short turns. Add the proved yeast and 1 cup of warm water. Process until the dough is a rough ball. 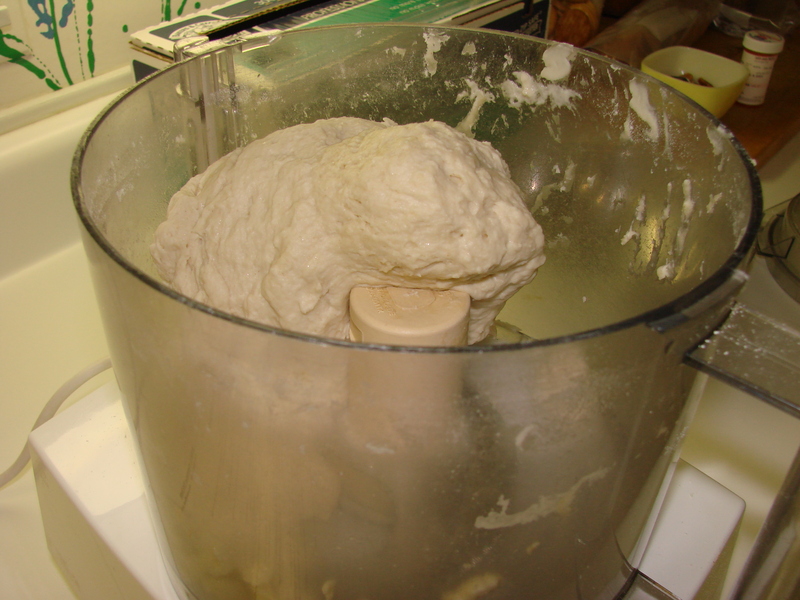 If dough seems too dry add the rest (1/3 cup) of warm water – or just a portion of it. Process until a smooth ball forms. Let the dough rest in the processor bowl for about 5 – 10 min. Turn dough out onto a floured surface and knead briefly. 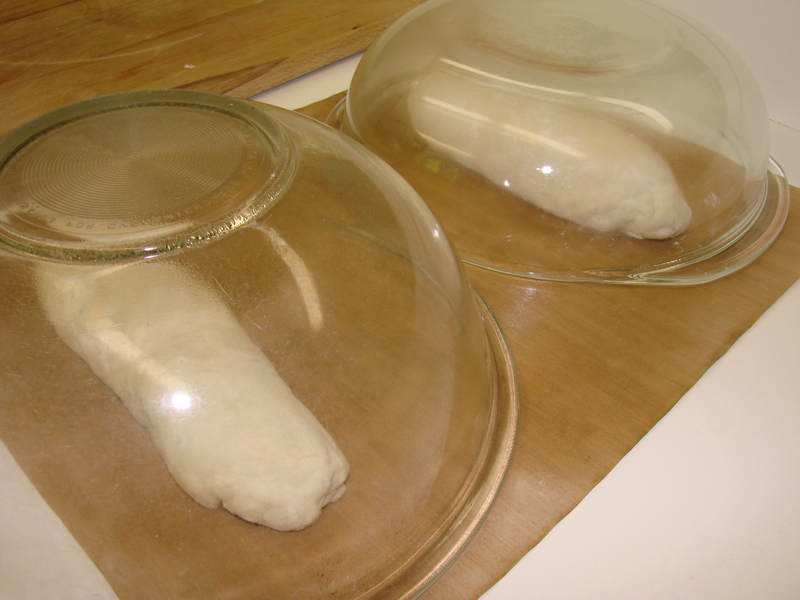 Place a glass bowl over the dough and let it rise for about 1/2 hour or longer until the dough doubles in size. Cut criss-cross lines on top of the risen dough – I use a one sided razor blade. 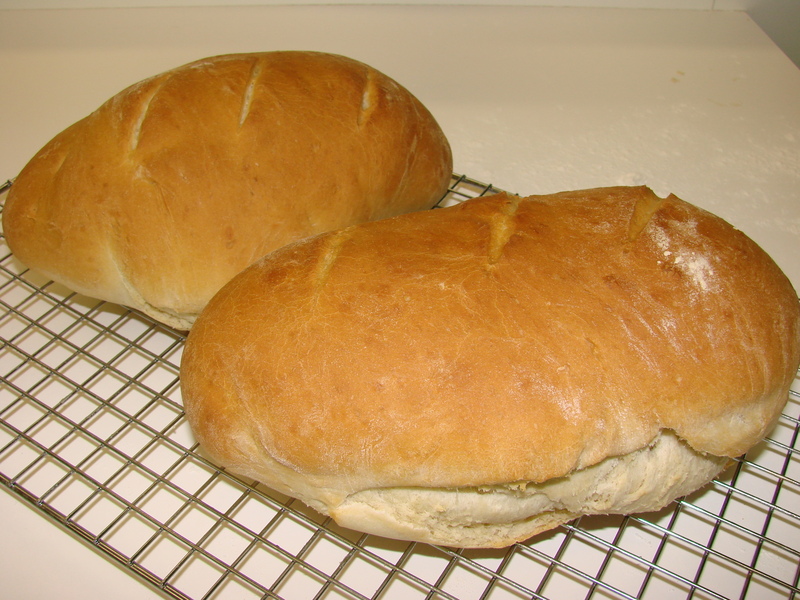 Brush the bread with some melted butter and bake at 450 F for about 30 min or until your instant thermometer registers 190 to 200 F.
Enjoy this fresh bread with soup or a hearty stew or any time!